While my focus and passion has shifted to UX/UI over the years, I am still proud of the traditional work I created while in advertising. After looking back at their work and discovering a fragmented approach to their one-off service model, the husband-wife co-founders decided to merge their custom web-dev and social media companies to form RUNNER. With their now comprehensive offerings that range from Inbound Marketing solutions to SEO, RUNNER needed a brand that was fun, energetic, and most importantly simple - a principle that RUNNER is built upon. The full branding package included a logo, business cards & website design, in addition to various collateral pieces. 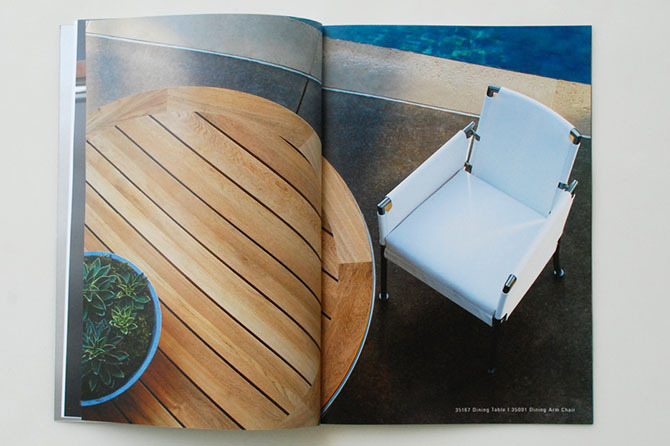 Since 1991, Sutherland Furniture has been transforming the outdoor furniture industry with sophisticated pieces from internationally known designers. 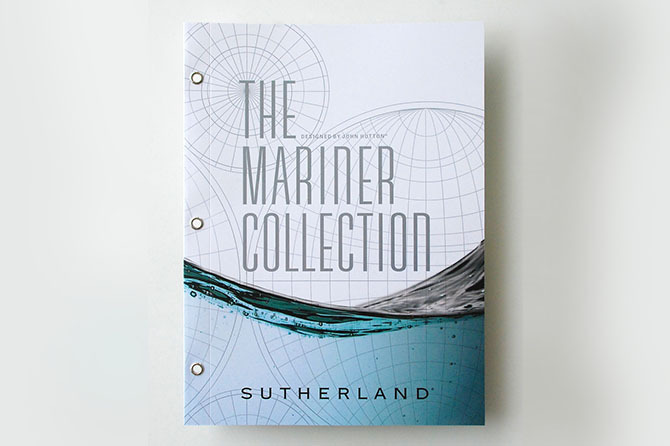 The Mariner Collection is no different. 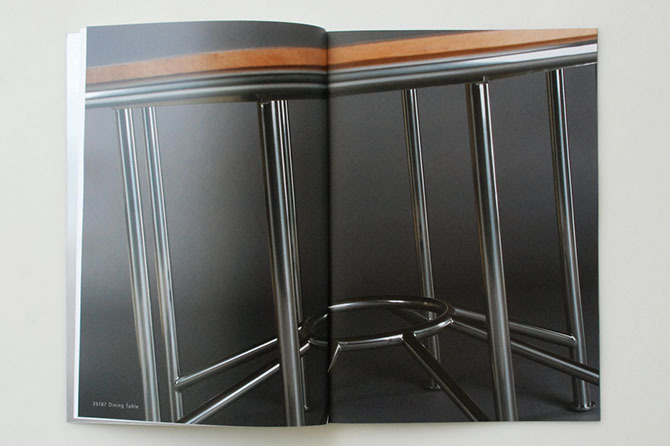 Using beautiful studio and lifestyle photography, we translated the clean lines of the furniture into a coffee-table book that stands out from the rest. With hints of silver to make the steel frames pop and intricate nautical illustration, this brochure is in a class of it's own. This brochure is featured in the 2013 Print Magazine Regional Annual, page 81 and won Silver in the 2013 Dallas Addy Award show. Vintage french posters were the inspiration for this print campaign which combined photography, whimsical illustration, and hand-drawn typography to showcase beautifully designed undergarments. 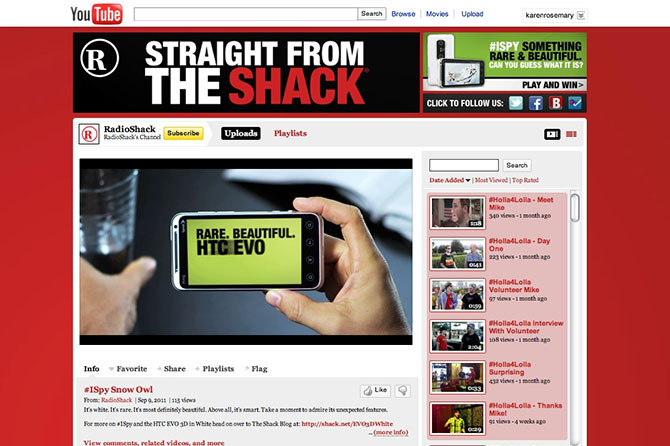 What started out as a simple product launch assignment developed into a recording breaking event for the RadioShack brand. 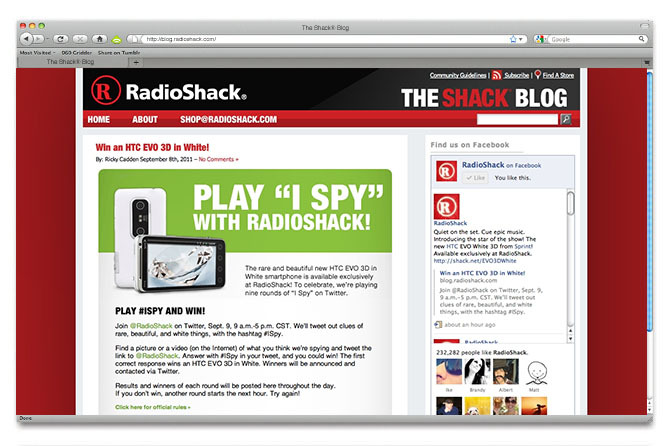 On the morning of November 9th, 2011 RadioShack shared the #ISpy hashtag. 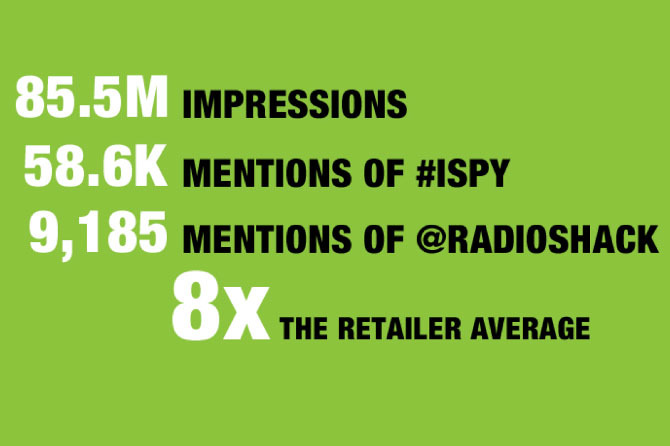 Within 8 hours the brand generated 85.5 million #ISpy trend impressions and collected over 171,000 @RadioShack tweet impressions. We delivered our campaign message, Rare Is Beautiful through Twitter by creating the world's largest game of I Spy, helping fans spy rare and beautiful white animals across the course of the day. As the results show, the campaign was a resounding success. In fact, Twitter ended up calling our CMO to compliment the campaign. They said they were most impressed with how we found a way to use Twitter as an integral part of the promotion, instead of simply using it as a platform. 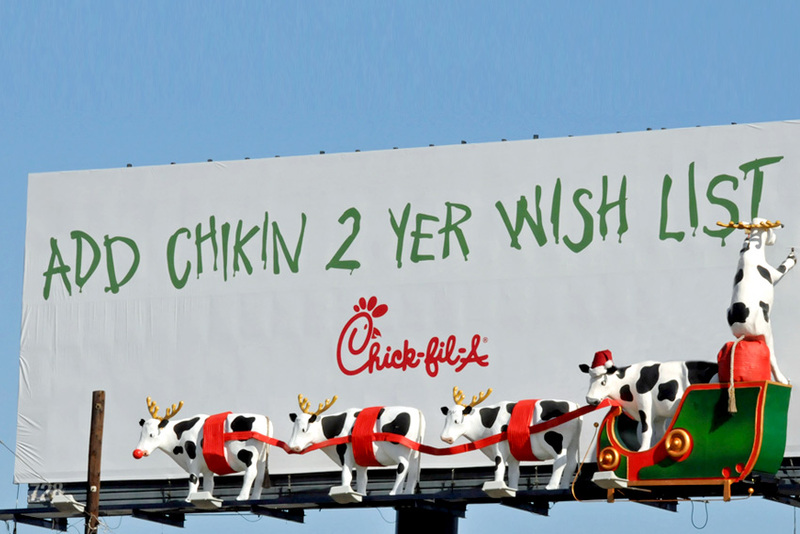 The Chick-fil-A cows are always trying to save themselves by spreading a message about how tasty chicken really is. From an oversized 3-D Etch-A-Sketch to a twist on Einstein's Theory of Relativity, the cows are always trying to connect with humans. They even wrapped a billboard with real-working lights and dressed up as Santa and his reindeer for the holidays to get our attention. The Etch-a-sketch concept won a Gold Obie in the 2010 award show. A family-owned coffee shop in Rockwall, Texas needed an affordable advertising option that reflected their western-themed storefront and cowboy attitude. These belt-buckle designs were made into posters and coasters in addition to the cup sleeves. A simple wrinkle is used to obscure popular imagery in order to exhibit that wrinkles really do tell the wrong story.